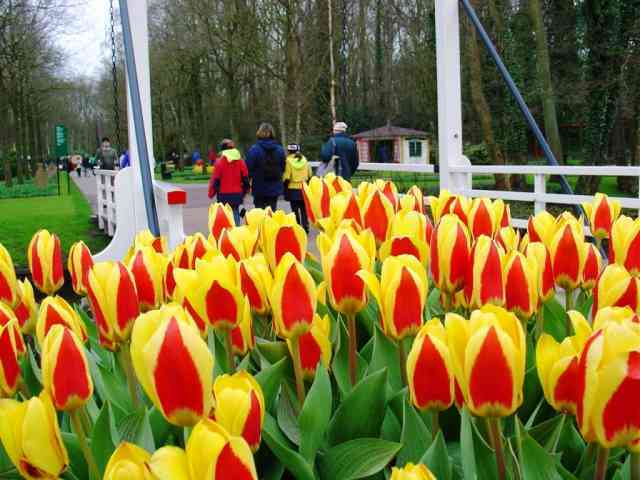 There are many different types of bulbs to choose from, but (being Dutch) one of my personal favourites are tulips. 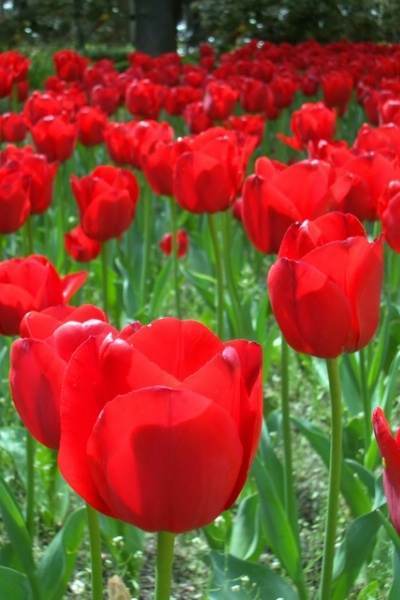 The genus Tulipa contains around 100 species of bulbs, and is a member of the lily family. The flowers come in many different shapes and all colours except true blue. 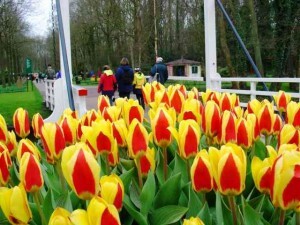 The world’s largest permanent display of tulips is in Keukenhof in the Netherlands, also known as “The most beautiful spring garden in the world”. In Holland, between 1634 and 1637, the early enthusiasm for the new flowers triggered a speculative Gardening in Spain Tulipsfrenzy now known as the tulip mania – a period in which contract prices for bulbs of the newly-introduced tulip reached extraordinarily high levels and then suddenly collapsed. It is generally considered the first recorded speculative bubble, and the term “tulip mania” is often used metaphorically to refer to any large economic bubble (A fitting term for the Spanish real estate situation?). 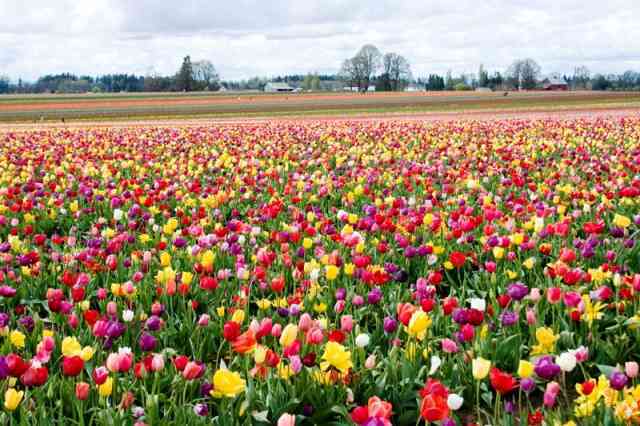 Spring-flowering bulbs are traditionally planted in autumn, but in warmer climates, tulips prefer to be planted when the weather and soils are a bit cooler. October – November is a good time, but they are really not fussy. However, it is important to remember that in our climate the winters usually do not get cold enough to initiate flowering, so they need to be given a short time in the fridge before planting. Between 4 and 8 weeks are usually enough, and somewhere like the crisper is ideal. Tulip bulbs need very little attention except a complete bulb fertilizer at planting time, and then again Gardening in Spain Tulipswhen they have finished flowering. Simply sprinkle in a good bulb food and dig it through the soil before planting. 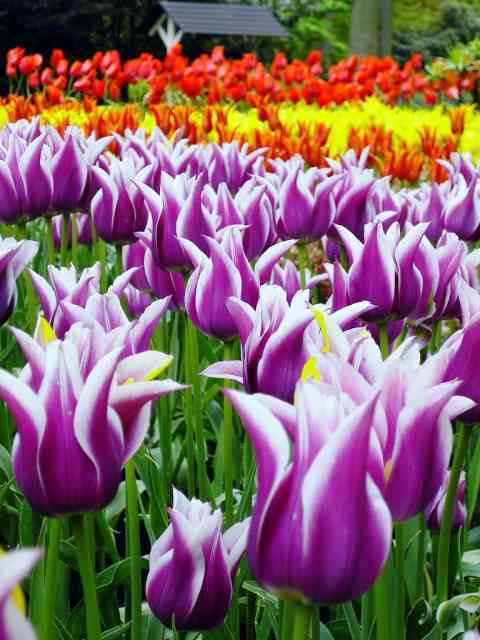 A good bulb food often contains a lot of potassium and phosphorous to encourage a good display of flowers. You can also top dress existing clumps of bulbs that are already under ground with a bit of compost or organic fertilizer just to help them along. Tulips make an impressive display in bold groups, natural drifts beneath deciduous trees or just scattered around the garden at random. It is amazing to think that these small, dull, lifeless packages will burst into magnificence in spring – so get planting! 46,50,9,36,photo size 50, Gardening in Spain Tulips.